Jack shares Wabash stories at Big Bash 2014. Jack Clarke ’69 stumbles across ancient trees in some unlikely places during his job is with the Marion County health department in Indianapolis. Jack is fascinated by the age of the huge trees he has encountered – some he estimates at 170-400 years old, using a popular formula based on a circumference + mathematics formula. Click here to hear Jack talk about the trees and see photos of Jack and some of his favorites. Bob Grand ’78 has been named to the Presidential Inaugural Committee, which will plan and coordinate the inaugural events on January 20, 2017. Click here for the news release. 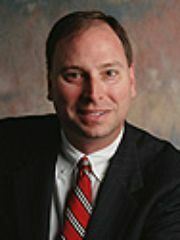 Bob is a firm managing partner of Barnes & Thornburg LLP in Indianapolis and a member of the Wabash College Board of Trustees. After Wabash, he earned a JD from the Indiana University Robert H. McKinney School of Law. John C. Schroeder ’69 has been named a 2017 Evansville Regional Business Hall of Fame laureate by the Junior Achievement of Southwestern Indiana and Evansville Business Journal (EBJ). Click here for the news release. Individuals are nominated for their outstanding civic and business contributions to the southwestern Indiana area and recognized for their business excellence, vision, innovations, inspiring leadership, courageous thinking and actions, and local community service. John is president and CEO of Crescent Plastics and Wabash Plastics in Evansville. After Wabash, he earned an MBA from Indiana University. 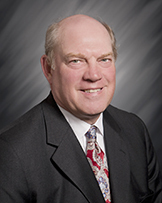 He is a member of the Wabash College Board of Trustees. Ken Mulzer ’93 has been named to the board of directors of German American, a financial institution that services banking, insurance, and investment needs in southwestern Indiana. Click here for the news release. 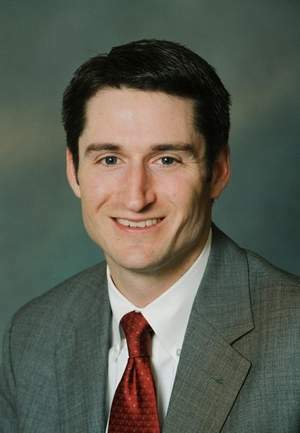 After Wabash, Ken returned to his family’s business, where he is president of Mulzer Crushed Stone, Inc.
Jared Stark ’95 has been named Senior Vice President of Healthcare Development at Duke Realty in Indianapolis. Click here for the news release. Jared has extensive experience in the healthcare sector. After Wabash, he earned an MBA from Indiana Wesleyan University. Mark Maddox ’83 was one of 2,200 torchbearers who were part of the Indiana Bicentennial Celebration this year. Mark was nominated from his hometown of Richmond, in Wayne County, where his family has lived for many years. Click here to read his essay about the experience, which he wrote for the IBJ. After Wabash, Mark earned JD from Vanderbilt University School of Law. He is the founder of a private law practice in Indianapolis. 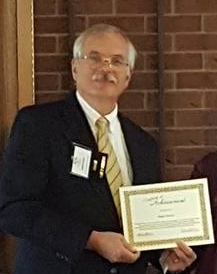 Ralph Rohrer ’74 was recognized by the Indiana chapter of APRA (Association of Professional Researchers for Advancement) at its annual meeting on November 3. He recently completed his fifth term on the APRA-IN board of directors. He has worked at Purdue University for 25 years, where he is in Development Research at the Purdue University Foundation. After Wabash, Ralph earned a Master of Library & Information Science, MLIS, at Indiana University in Bloomington. 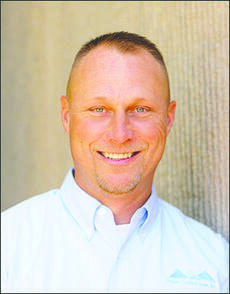 Mike McCarty ’90 is CEO of Safe Hiring Solutions, Inc., a background screening services company located in Danville, Indiana. A new subsidiary, Safe Recruiter Solutions which will open soon in downtown Crawfordsville, will work with local schools to provide paid internships to prepare students for jobs in logistics and manufacturing. The results will be a pipeline of skilled and unskilled workers to fill jobs. Click here to read the news release. 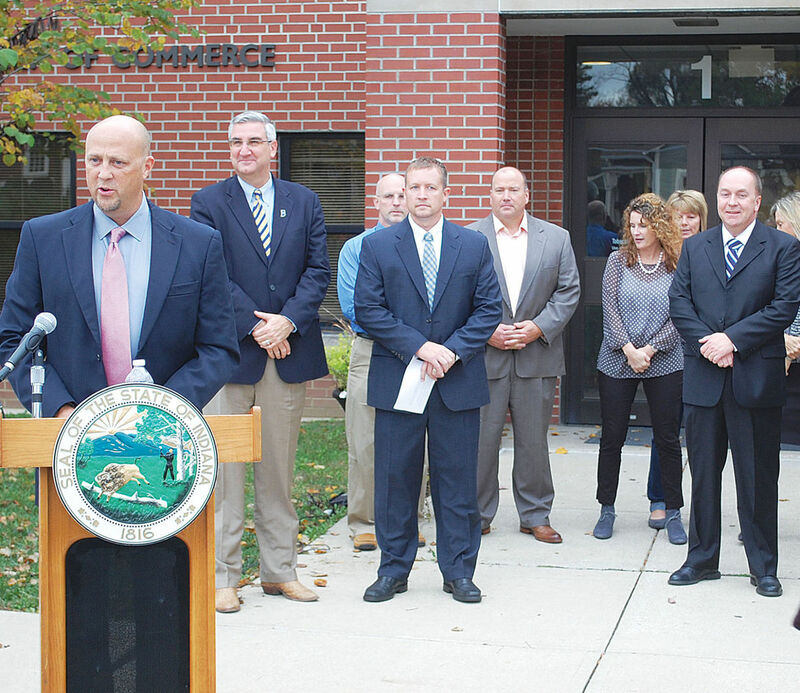 Mike McCarty ’90 (left) and Crawfordsville Mayor Todd Barton ’00 (far right) at press announcement on November 3. Photo courtesy of Journal Review. 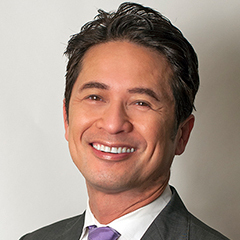 Diosdado “Dio” Gica, EdD ’90 has been named Chief Program Officer for SAGE (Services and Advocacy for Gay, Lesbian, Bisexual & Transgender Elders). Click here for the news release. After Wabash, Dio earned a Master’s Degree in English Language and Literature from City University of New York – Brooklyn College and a PhD in Education Administration, Leadership and Policy from Fordham University. Dio’s career has included Director of Learning and Literacy at Queens Borough Public Library, adjunct professor at local New York colleges, Executive Director of the YMCA of Greater New York, and journal editor for ENTP AWARD Project on Culture and Development. 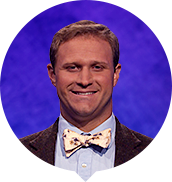 Denver Wade ’10 is a new contestant on TV’s Jeopardy on November 1. Denver is a ninth grade English Teacher and Assistant Football Coach at Westfield High School in Indiana. 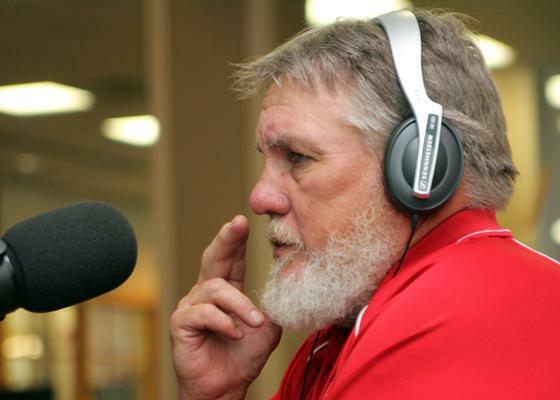 He was an offensive lineman and assistant football coach at Wabash for the 2010 season.